Guys, the pic on the left is a DP TIE kit. The pic on the right is photoshopped to where the eyes are a little farther away from the mouth. Let's just pretend for a moment that the TIE Pilot is a regular TK + Helmet. Now imagine if you removed the helmet, you'd have a regular TK. Does the pic on the right look more natural like a regular TK? 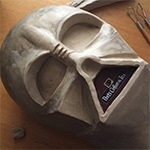 The TIE face comes from the Stormtrooper face mold. NHM is right. They ARE from the same moulds. The DP face is a mirrored and sanitised version. To answer your question; they both look wrong. Last edited by StarWars Collector on Sun Mar 11, 2007 8:56 am, edited 1 time in total. Okay, guys, let me rephrase the question. 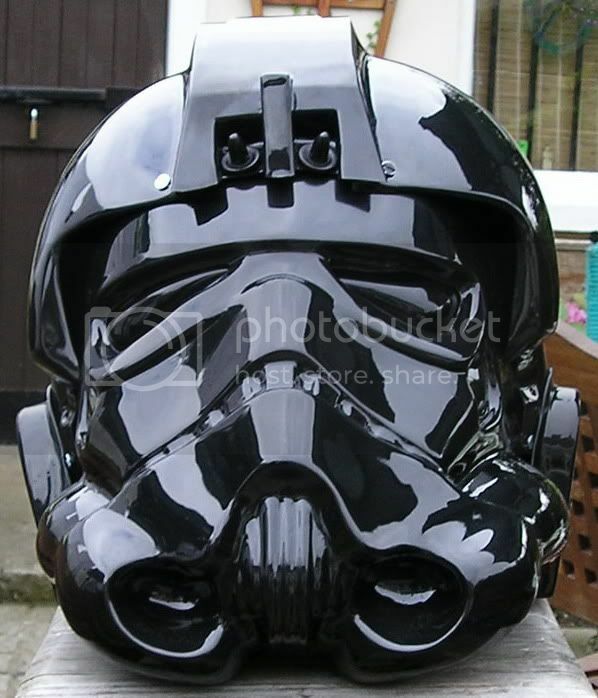 I am considering acquiring one of these TIE Pilot kits, but I thought it would be very interesting to remove the helmet part and take the stormtrooper facemask and build out an entire helmet from it. My observation is that the eyes and the mouth are too close to each other. 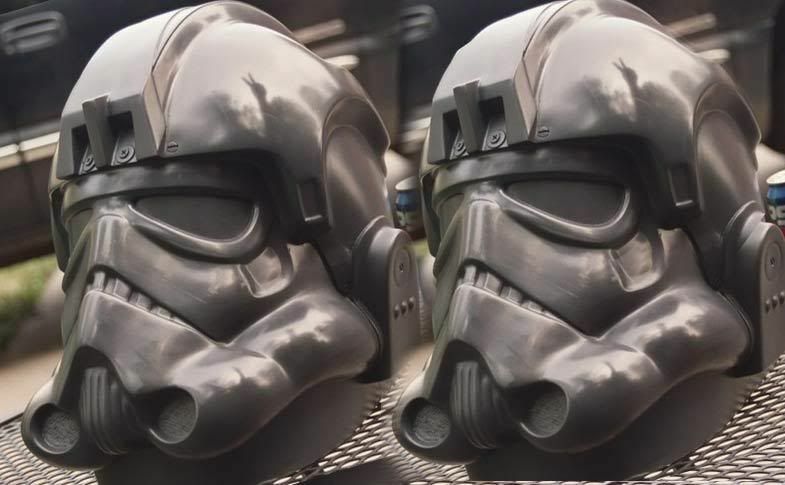 So what I did was Photoshopped the eyes so that they're farther away from the mouth -- so given that info, does the shot on the right look more like a regular stormtrooper's face? clearly the face is a bit more "elongated" than your first (DP) kit shot above. even the decal area under the eye is larger, like your photoshopped version shows. 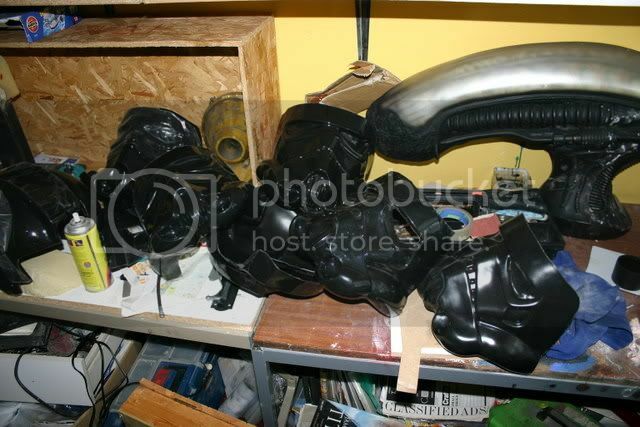 And since the guys above are correct--the TIE pilot was made from the same molds as the TK's-- then yes, the DP kit face seems too scrunched, and your modded photo looks more accurate. Crow, thanks for the confirmation. Is the DP supposed to be screen-accurate in size -- facemask-wise? I'm wondering if it's worth cutting the facemask out and building out a helmet, or if I'm just going to have to build it from scratch. Hey Mac....I've seen that kit...looks nice to why not just mod it the way it is? I've even thought about that one to. I would think that it is cheaper and easier to simply buy an actual TK face or a whole helmet. The DP helmet is far from accurate, so you won't get any accurate results out of it. 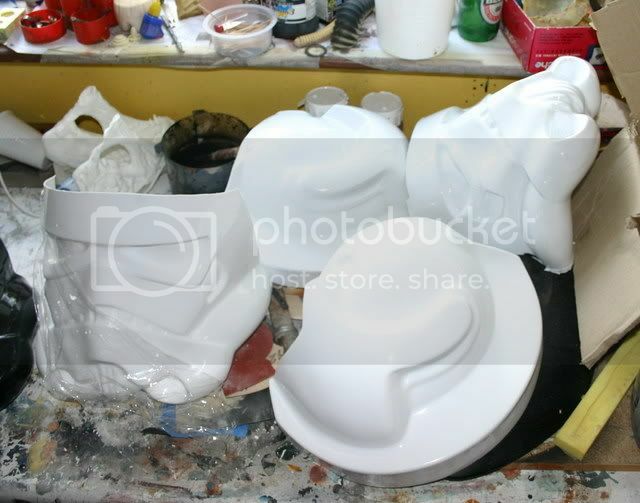 Okay, if I don't buy an AP or a TE Stormtrooper helmet, I'll probably end up building one from scratch. I haven't decided on a first project yet but I'm sure the skills developed will help me make a TK -- kind of like the experiences with Golden Armor have made me fearless with fiberglass. You may be fearless with fiberglass, but TK helmets are usually made of plastic... so a whole other ballgame. Some say it is easier to work with than fiberglass... others that it is worse, I guess depending on what they are used to. Stop the insanity and buy a LAWS ARCHIVE TIE. It's the best there is. The Laws/TE TIE helmets are nice but the faceplates are too narrow. Below is the IH. I think the IH Tie is the best there is - just very difficult to get my friend to to make them though. I may be able to get hold of face plates if anyone wants 'em. Hopefully we'll be seeing another interesting helmet soon. Last edited by AnsonJames on Sun Mar 18, 2007 12:21 pm, edited 1 time in total.